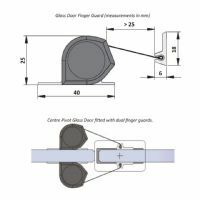 Glass Door Finger Guard is a high quality finger guard designed exclusively for use with glass doors. 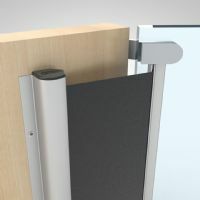 It uses a resilient blind mounted in a robust aluminium housing that attaches to the door frame. 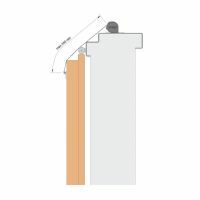 The other end of the blind is fixed to the surface of the glass door via an aluminium strip with built-in acrylate-foam high performance tape. The tension in the blind prevents fingers entering the hinge gap, where they may be subject to trapping. Independently tested to over 1 million opening & closing cycles. 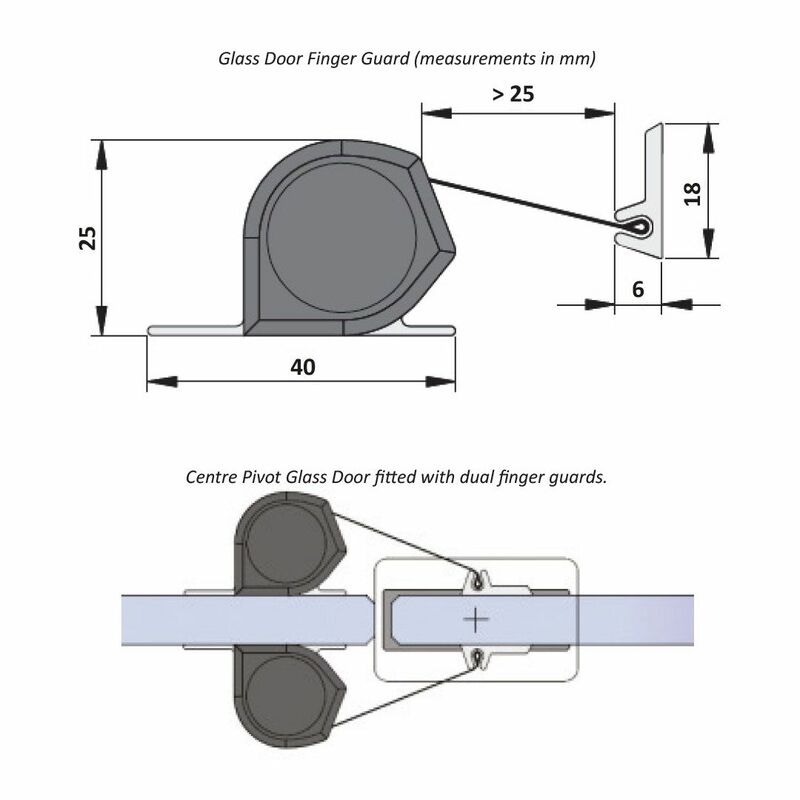 A finger guard exclusively for glass doors. 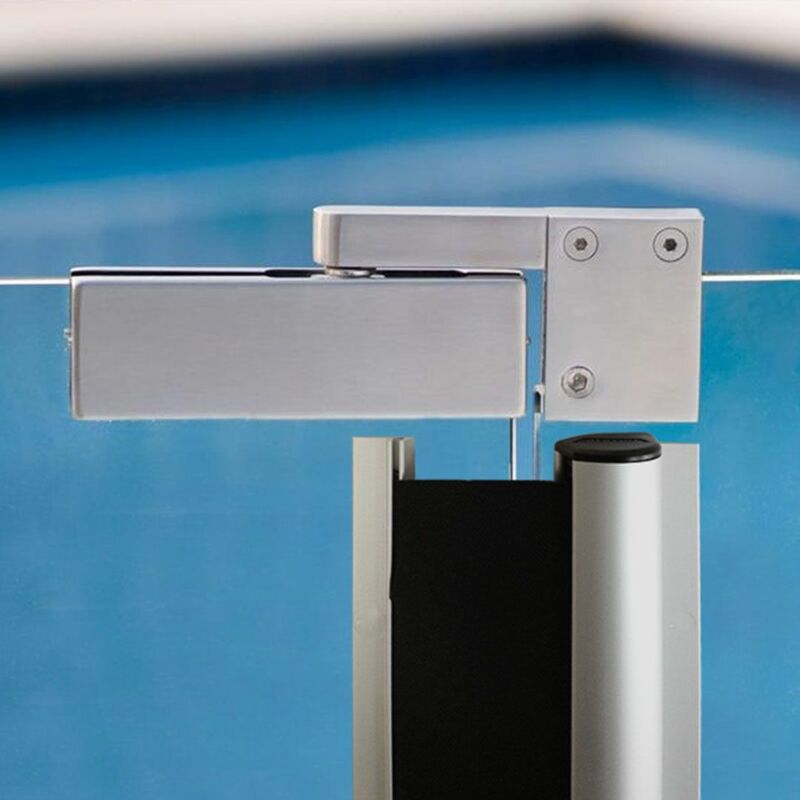 Suitable for most single or double-action glass doors. 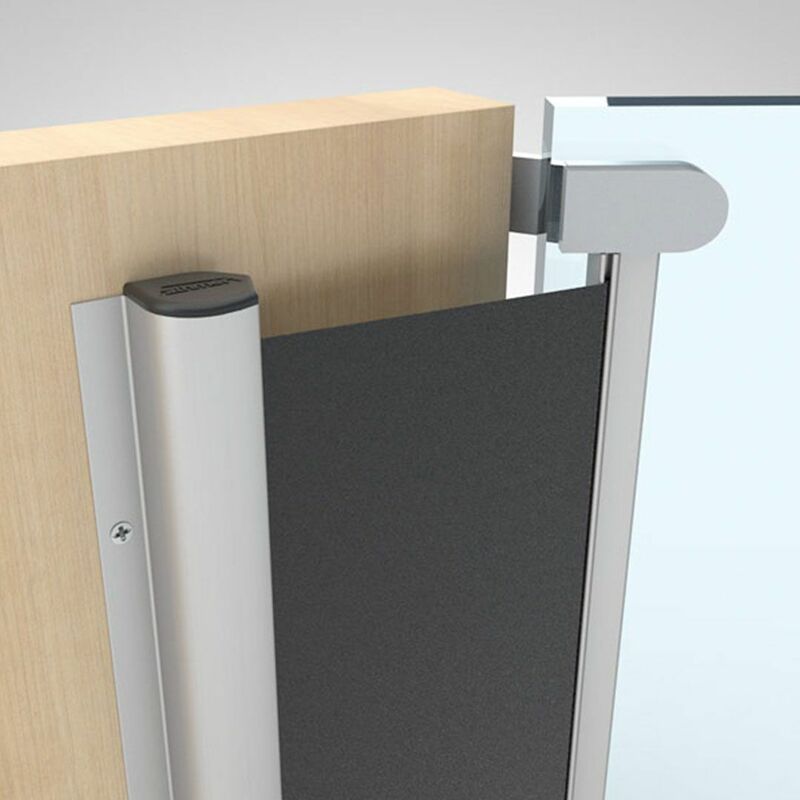 Suitable for manual or automated opening glass doors. Suitable for 180° opening depending on door configuration. Satin Anodised Aluminium roller system housing with Black fire retardant fabric. Standard length 1925mm, a 2015mm Longer length available to order to comply with EN16605.